PT. Anugrah Mulia Lestari was established in Bandung. 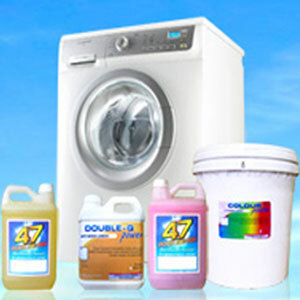 It has been manufacturing and selling chemical product for textile, laundry, detergent / deterjen and household product. Our company has been trusted to supply chemical and household product for one to five star hotels, hospitals, Laundries, Textile factory, Garment wash, Chemical supplier, and also chemical shop in Indonesia. 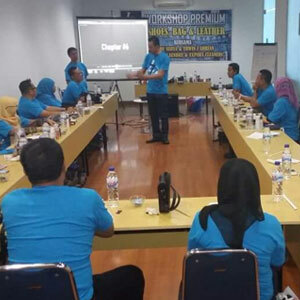 PT Augrah Mulia Lestari has constant activities concerning chemical product and research, development, production and sale, mainly chemicals used in textile processing, Laundry, Housekeeping Chemical. All our customers are our business partners. We are happy to see that we can walking together. We only sell products which are beneficial for you. Our professional staff will always be ready to give you all best services. Our Professional R&D always work hard in developing new products to fulfill your needs. We always open hands to your input of our products and help you to overcome your problems. Your Satisfaction is our concern please contact us any time you need help. We are working our primary goals such as development of various products which meet our customers need and providing prompt technical services. We also can make special product for our customers as well as they need with minimum quantity.